At Lavish&Squalor we get visitors from all over the world, but sometimes the best visitors are ones from your own family! 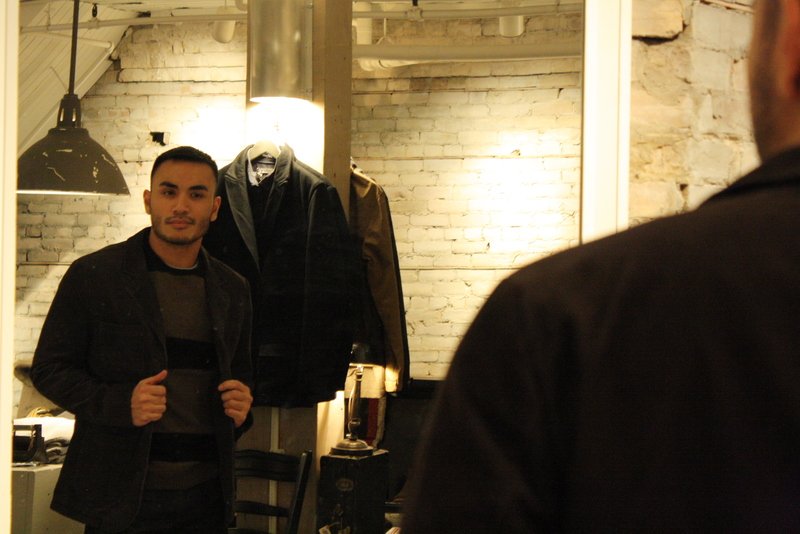 Meet our model Dino who flew in from Vancouver, and also happens to be (one of our very own) Aimee’s brother. 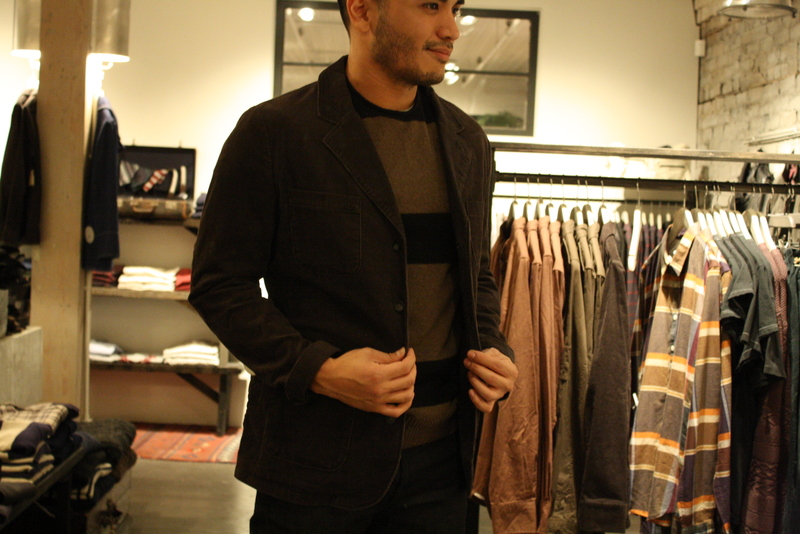 On his visit he stopped by the store to check out our latest offerings from our men’s winter collection on our Upper Level. His favourite picks include the winter-ready colour palette button up shirt from Fred Perry, a pair of dark slim denim from Commune, and some light brown leather chelsea boots from Vanish Elephant. 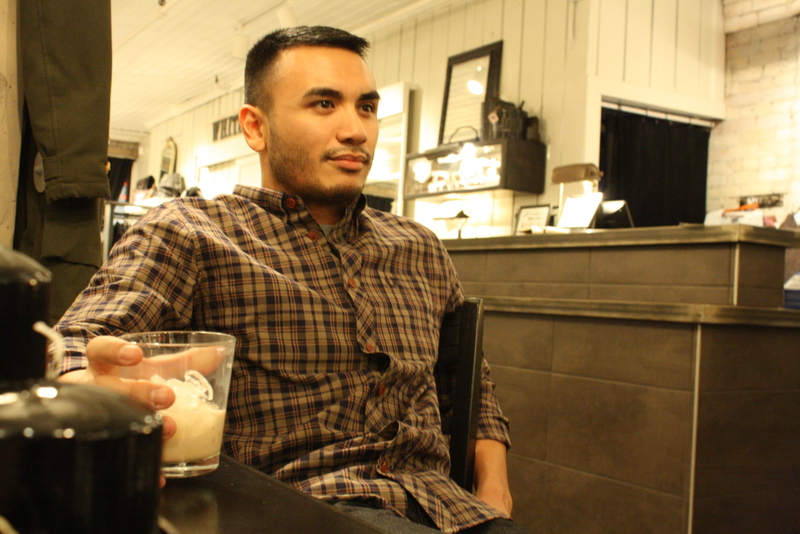 Don’t forget to keep warm with some egg nog like Dino! Dino’s favourite egg nog recipe can be found here. Dino also liked this printed tee from Noir et Gris, a label from two young men who are also Toronto natives. The shirt evokes a casual yet effortlessly cool simplicity that gives Dino a good downtown urban edge, while still keeping it classy. This definitely made the wish list (which he promptly told Aimee to grab for him as a present). 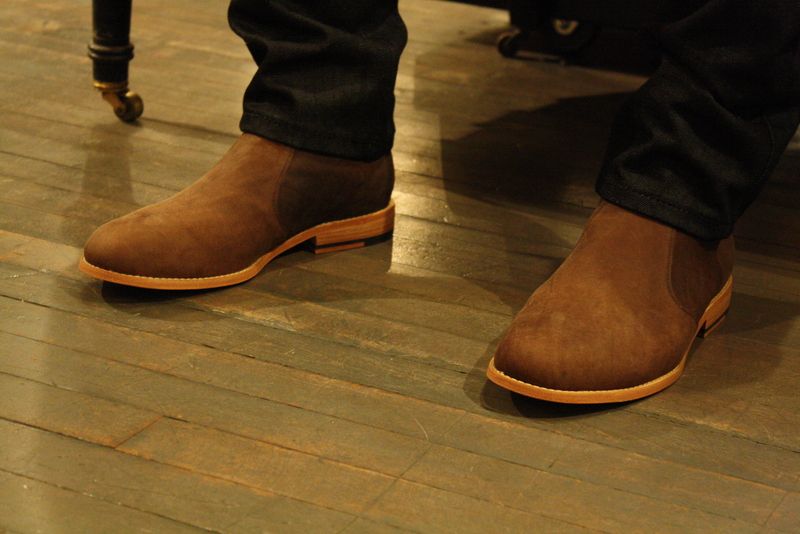 Vanishing Elephant’s footwear is a great addition to the Upper Level. This label pairs the idea of well-made goods with a stylish sensibility. Honoured last year as GQ’s Designer of the Year in Sydney, Vanishing Elephant is a brand that guys all over will want to rock. This boot in particular is a great classic staple, and was welcomed into Dino’s close (and should be in your closet too!). Life/after/denim is an American label dedicated to creating clothes for men that are both simple and made of the best quality. Dino is wearing a striped crew neck sweater that’ll keep him warm after hopping from holiday party to the next, and their dark brown corduroy blazer which will keep him looking sharp (or like a professor… a cool one). 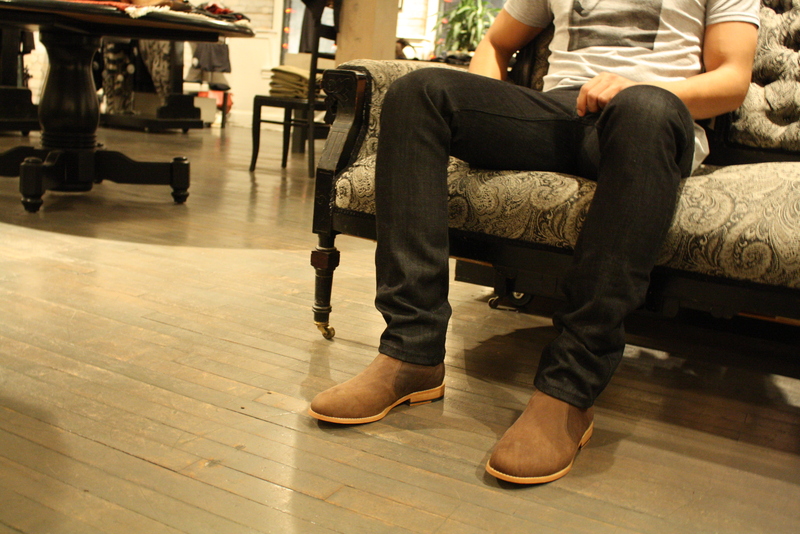 All outfits are available on our Upper Level, come visit us like Dino! 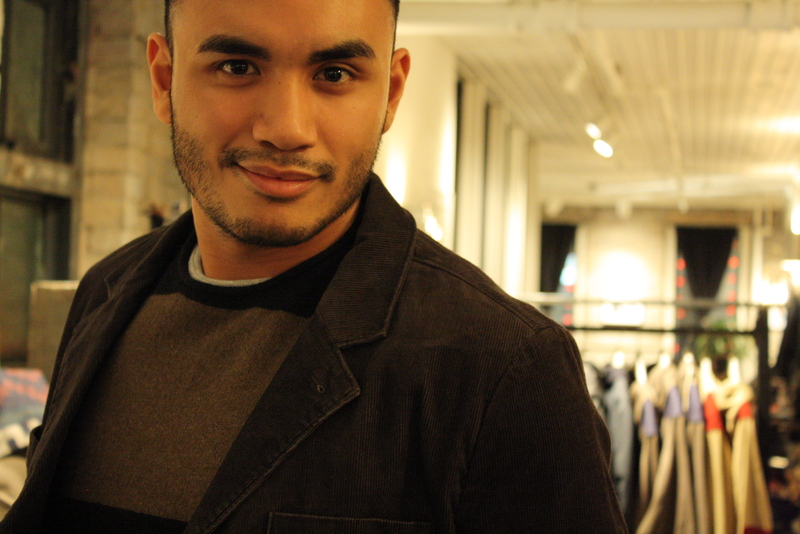 Be sure to catch him on Twitter (@dinolaurel) and while you’re at it, follow us too for more men’s coverage (@squalorland).